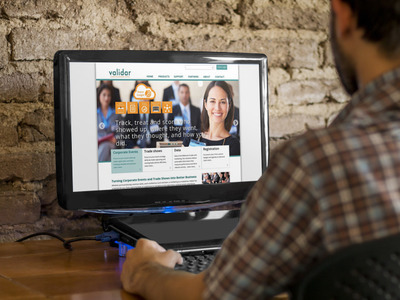 Validar is a B2B event marketing solution designed to automatically track attendees and score leads at events while managing, categorizing and importing leads from offline sources. Conversica is an artificial intelligence (AI) solution designed to help marketing, inside sales and sales organizations engage prospects with the highest propensity to buy. The solution’s artificial intelligence is positioned to initiate email conversations and analyze replies by automatically extracting information and interpreting the lead’s intention and sentiment. Conversica is designed to optimize email marketing, enhance lead management and prevent lost leads to maximize sales and revenue. Conversica is compatible with Salesforce, Eloqua and Marketo. The solution intends to identify high-value prospects among thousands of inbound leads. Using text analysis, Conversica can nurture leads throughout the buyer's journey with minimal human intervention. While the solution can continuously engage prospects, the AI technology can also measure intention and sentiment to identify leads that are uninterested and remove them from further campaigns. Maximizer Services Inc, a provider of CRM solutions, partnered with HubSpot on the Maximizer CRM: HubSpot Connector, an integration of the HubSpot inbound marketing software with Maximizer CRM. 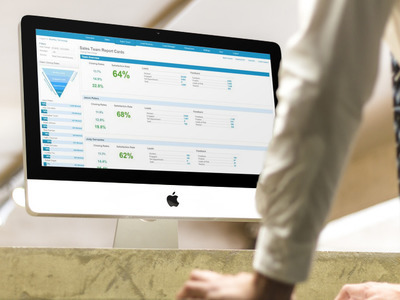 INBOX25, a provider of cloud-based marketing automation systems, unveiled the latest version of its software that provides access to its marketing automation platform from within SugarCRM. It was introduced at SugarCon 2013, SugarCRM's annual customer, developer, and partner conference held this week. INBOX25 4.0 integrates tightly with SugarCRM to enable marketing teams to leverage all of their CRM data, including leads, contacts, opportunities, tasks, quotes, contracts and more, company officials said. The new integration is designed to allow sales teams to focus exclusively on sales-ready leads, while automatically and simultaneously nurturing other potential prospects that may not be ready to purchase. Dashcord provides hassle-free marketing automation for Salesforce.com. It is a fully native lead management, campaign automation, email marketing and real time analytics tool—on-platform without integration.